The Beguiled won’t be the only film we’ll be getting from the Coppola family this summer. 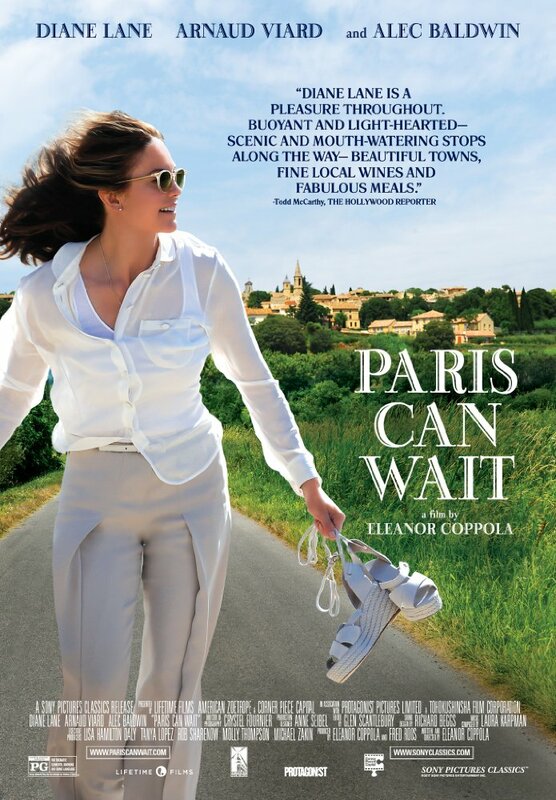 A new trailer has arrived for Paris Can Wait, the narrative directorial debut of Eleanor Coppola, wife of Francis Ford Coppola and mother of Sofia Coppola. The film, which premiered at TIFF last year, follows Anne (Diane Lane) who, at a crossroads in her life, finds herself on the winding roads of life between Cannes and Paris. Along the way, romance, fun, and good food cause Anne to realize that life can be quite delicious. See the trailer below, along with a poster and synopsis, for the film that also stars Alec Baldwin and Arnad Viard. Eleanor Coppola’s feature film directorial and screenwriting debut at the age of 81 stars Academy Award® nominee Diane Lane as a Hollywood producer’s wife who unexpectedly takes a trip through France, which reawakens her sense of self and her joie de vivre. Anne (Lane) is at a crossroads in her life. Long married to a successfully driven but inattentive movie producer (Alec Baldwin), she finds herself taking a car trip from Cannes to Paris with a business associate of her husband (Arnaud Viard). What should be a seven-hour drive turns into a journey of discovery involving fine food and wine, humor, wisdom, and picturesque sights. Paris Can Wait rolls into theaters on May 12th.